It was an exciting day when we unveiled the latest addition to our Studley Nursery – a brand-new building affectionately known as ‘the Chalet’. 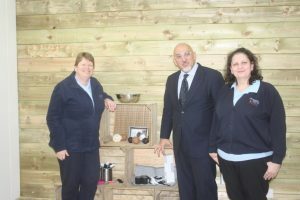 And staff at the nursery were thrilled to welcome Childcare Minister and MP for Stratford-on-Avon, Nadhim Zahawi, for a tour. Replacing the outgoing ‘Shack’, which had been on the grounds since the nursery opened in 1999, the Chalet provides a new staff room and office, as well as a multi-functional room for use by nursery children and those enjoying the free weekly Stay and Play sessions that launched in January. Mr Zahawi was very impressed with the new facility and officially unveiled it during his visit. 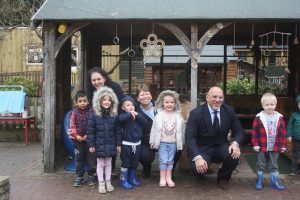 Bright Kids Group Owner, Tricia Wellings, said: “We were delighted that the Childcare Minister took the time to visit us and see the progress we have been making within our nursery and to talk over current Early Years issues. 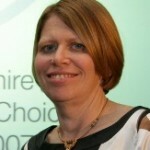 “He was very impressed with the new facility, which will be a great asset to us and the local community. We offer free Stay and Play sessions to parents and under 4s in the local community, so it’s great to have a new room for those. We will also use it for group sessions, including school readiness with our pre-school children. The Chalet is clad in wood to fit in with the natural feel of the nursery and also includes a new bespoke storage unit and a cosy space and den for the children and was built by The New Factory whose Director, Tom Shea also operates a chain of settings across the Midlands.